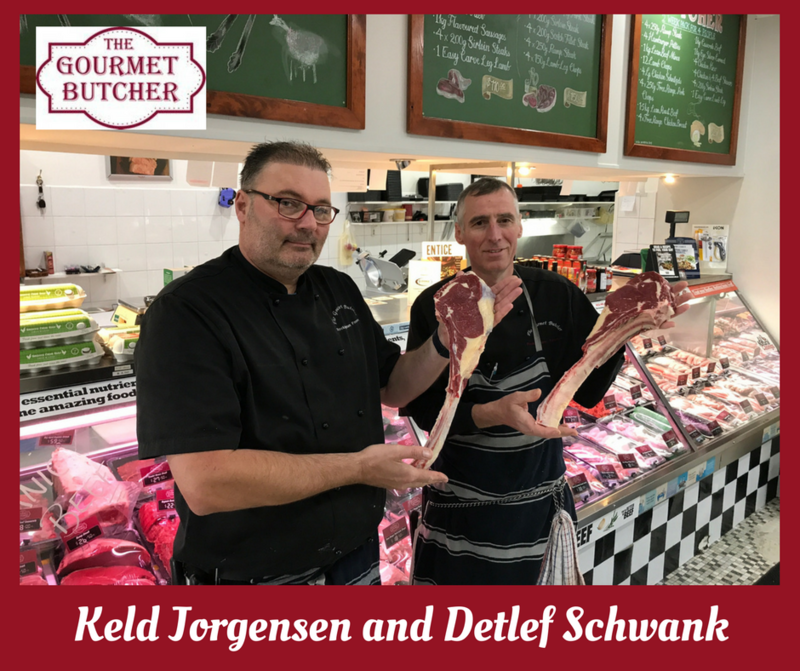 Detlef Schwank and Keld Jorgensen are the proud owners of The Gourmet Butcher on Rockingham’s foreshore. Both Europeans; Keld originally from Denmark and Detlef from Germany. They share the passion for great food and cooking as they are both highly skilled certified chef’s and butcher’s with many years of experience from around the world. Cooking tips/ideas for every day meals to entertainment or even new ways of cooking are always available. The Gourmet Butcher prides themselves on their ability to supply only the freshest and most tender of meats available. The Gourmet Butcher in Rockingham carries a huge range of quality organic beef and free range chicken as well as pork. Only the highest quality meats are offered to customers to choose from. All the homemade sausages are prepared on the premises daily and is one of the sought after specialties. An extensive range of well-known sausages to new and exiting flavours, which are bound to please many customers. Dry aged meat is another specialty prepared on the premises and very popular indeed! The meat is dried in the chill for 30 days plus to maximise the tenderness of the meat before sale. Both Detlef and Keld are proud to offer many of the good old European favourites from their home countries. This includes many special cuts as well as a very nice range of small goods. There is no limit to special requests!